I've got a few instagrammers that I keep my eye on when certain events like BaselWorld or SIHH 2019 comes up. I've penned down a list and if you're into your watches, then give these accounts a follow. This lady is an obsessive. Sophie Furley is the Editor-in-Chief of Revolution magazine and is at every launch, event and exhibition all over the world. I'm sure she could quite easily moonlight as a travel blogger if her diary allowed. Her posts are a plethora of different luxury and submariner watches. Eclectic, diverse but always clearly delineated. 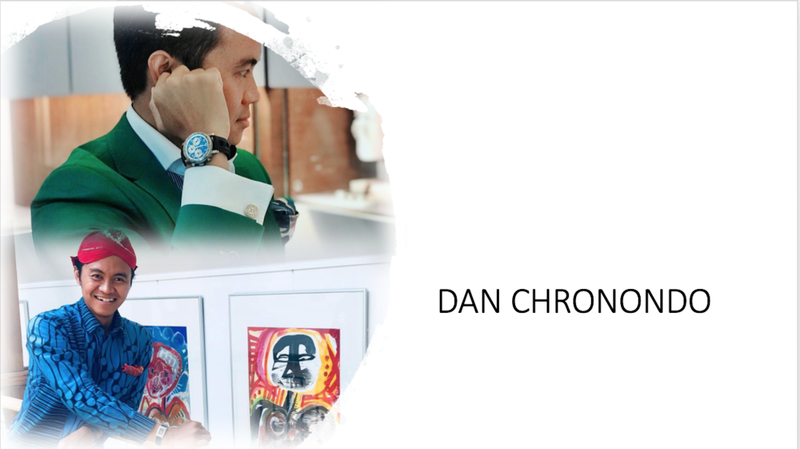 Chronondo (or Dan to his pals) was established in 2015, has 30 timepieces in his watch drawer from Jaeger LeCoultre to Audemars Piguet, and has an online store where people can buy and sell watches free of charge. Dan also extends his great taste in watches to other elements of his wardrobe. Very distinguished, always well turned out. Whilst you should definitely be following the Bremont Instagram page, (support British design and manufacturing where you can people) it's also quite cool to see what goes on behind the scenes sometimes. Co-Founder Giles English (now there's nominative determinism in action) is something of a swashbuckling entrepreneur. I'll be honest, I just love the cars he drives around in. Oh and the watches. Of course the watches. Well I envy Elizabeth the most. Watch journalist, and editor-in-chief of Quill and Pad, she gets to hang around all the big knobs. It must be a cushy gig being a watch journalist. If I had to start over I would be a dedicated watch journalist. Flown around the world, check out some watches, press the flesh with Pierce Brosnan, then a good old knees up back up the hotel. Someone else will pick up the tab. How's my aim watch journo's? Can't be any more to it than that surely? (Remember folks don't phone in, it's just for fun). And then there's dear old Rolf Studer. I like the name Rolf, it's been blighted perhaps in the past few years by you know who, but here is a Rolf you can rely upon. 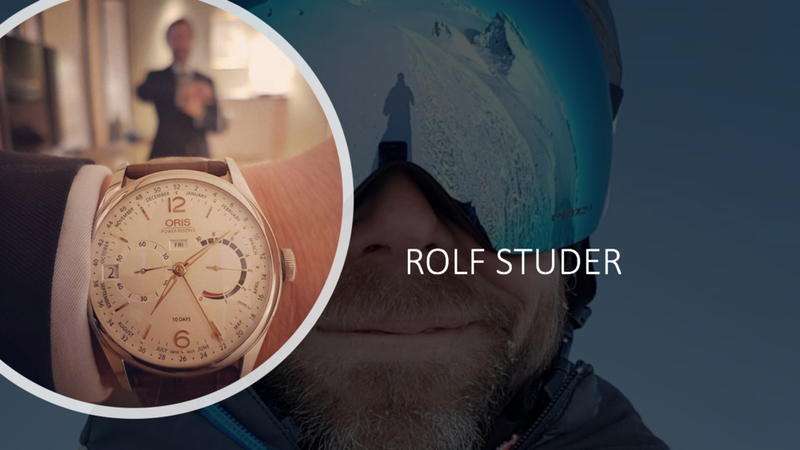 Rolf Studer, CEO of Oris, as well fastidiously annotating all the Oris watches that christen his wrist, he also has a lustrous head of hair. Let me know who else I should follow in the watch world, drop me a comment below or catch me on Instagram.